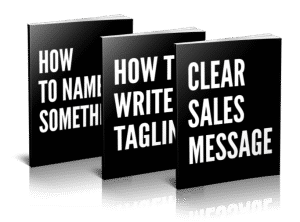 Having a Clear Sales Message is an essential part of your sales process. No matter the product, service or industry, being able to explain what you offer in an engaging way can make all the difference. 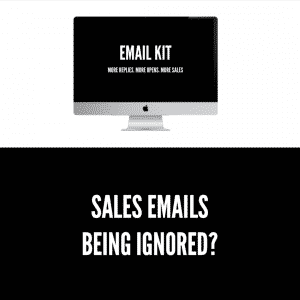 But what does it mean to have a CLEAR Sales Message? 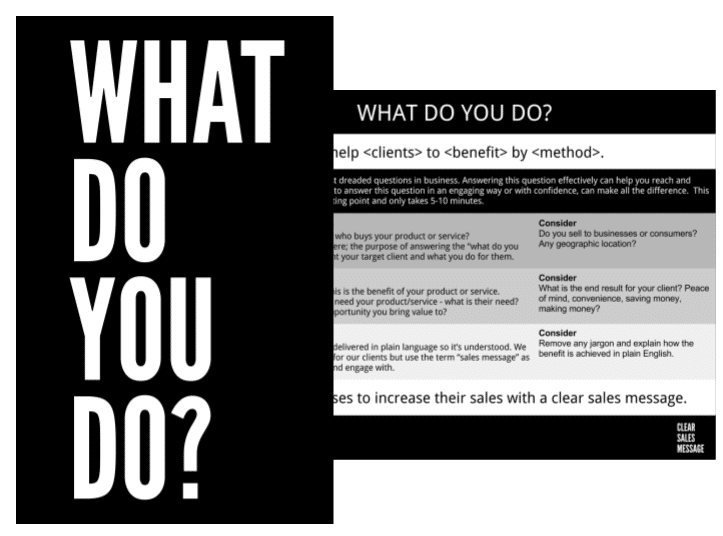 Your clients are focussed on themselves and their situation, so it makes sense that your sales message is focussed on what your clients want, what is important to them and is produced for their perspective. Your sales message at the most basic level needs to be a logical and simple to understand presentation of your offering. If they don’t understand it. They can’t buy it. Whilst explaining what you do is important, presenting it in a way that is engaging to your clients is crucial to making the sale. It’s about saying the right things to the right people at the right time. Your sales​ message is designed to achieve an objective. This objective can influence your message and how it’s presented. Consider what your desired outcome is and work back. 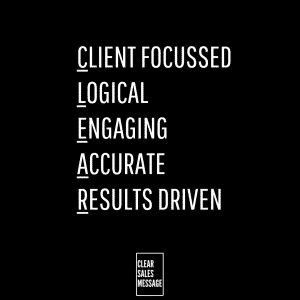 Client focussed Logical Engaging ​Accurate​ Results driven. Like this kind of stuff? Want more? 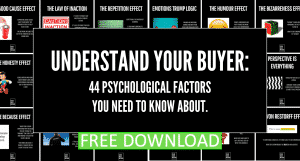 84 ways to reach, engage and convert people to buy using psychology, science and common sense. ✅ How people work – 18 factors that affect client behaviour. ✅ Selling Communication Basics – 12 ways to communicate more clearly. ✅ How to get attention – 18 ways to stand out and be noticed. ✅ How to engage – 27 ways to engage potential buyers. ✅ How to convert – 10 ways to convert prospects to buyers. Everything in the book works and is backed by psychology, science, common sense and my own testing.